Google Classroom Activities and How it Works with Benefit. I believe this keyword ‘Google Classroom Activities‘ brought you here. Yeah, for real… Don’t panic, your visit to our weblog is never in vain. In this brief piece, i’ll quickly summarize, the major activities conducted in a Google Classroom and it’s full benefits to student. Stay tune. Before, we get started… Let me quickly drive you through a brief insight about ‘Google Classroom‘ according to www.wikipedia.org. Quick Tips on Google Classroom Activities. Google Classroom allows you to create a unique class for every class that you teach. In just three mouse clicks and a few keystrokes you can create a class. Google Classrooms are divided into different sections… for the purpose of this article, I will cover Students and the Stream. In the Students section you can view all the students in your class. You can either add students to your class manually, or they can join your class on their own using their own Google account. When you create a class, Google Classroom provides you with a class code located on the left side of the screen. Share that class code with the students you want to join that class. From their computers, laptops, or Chromebooks, students log into their Google accounts and use the class code to join. Within the Student section you can also determine if your students are allowed to comment on the questions, announcements, and assignments you create or if they can only post. If you desire you can also choose to be the only one who can post and comment in your class. In the Stream section you’ll find the assignments, announcements, and questions that you create. This is the section in which you’ll spend most of your time after your classes are set up. Read below to learn about assignments, questions, and announcements within Google Classroom. Assignments are a great way to collect student work and provide your students with feedback and grades. When you create an assignment you can provide specific instructions for that assignment, a due date, and a topic. If you include a due date for the assignment, students will have until 11:59 PM on the date to submit their work for that assignment. If they submit the work late, Google Classroom still accepts the assignment, but indicates that it was turned in late. One of the best features of the Google Classroom Assignments is that you can add files to the assignments you create. You can add a file from your computer, a file from Google Drive, a YouTube video, or a link to a Website. One idea is that a business education teacher can assign a writing prompt on a relevant person in the news and add a link to a YouTube video of that individual delivering a speech. Students can submit any type of file to your Classroom, not just Google Docs. Not only can students submit their completed work as files, you can open them directly from Classroom and grade them right there. You can open files submitted to your Classroom as long as your computer has an Internet connection and the software needed to open the file… you don’t even have to be on your school computer! For example, you can assign an essay and your students can submit their completed essays to an assignment you created in your Google Classroom from any computer that has an Internet connection. You can then open the file and grade it on your computer at school or at home. Google Classroom acts like a “Dropbox” for assignments. Students no longer need to print their work and physically hand it in to you. This gives you more time during class to focus on moving forward, as opposed to wasting time collecting work. Google Classroom allows you to ask a question within a specific class. As with assignments you can add files to the questions you post, and can assign a due date to it if you want. You can post short answer or multiple choice questions for your students to respond to in Classroom. As students answer a multiple choice question, Google Classroom tabulates the results for that question and shows you the breakdown of the students’ answers in real-time. When you click on one of the multiple choice answers, Classroom indicates which students chose that option. When students respond to a short answer question, Google Classroom cannot tabulate the results so it simply shows student responses. At that point you can comment or reply to each student, and give a grade as you see fit. Using the Questions feature is a great way to start a discussion in your classroom, acquire baseline information before starting a lesson, and test students’ knowledge on a homework reading assignment. To provide variation, you can post a video in a question and instruct students to respond to the video at home. In addition to creating assignments and questions, Google Classroom allows you to create announcements. Students can respond to your announcements and you can respond back, creating a thread. In reality the entire class can have a conversation based on one announcement. Once again you have the option of adding a file, a YouTube video, or a link to an announcement. Announcements are a great way to post reminders about assignment due dates to your students. You can even schedule announcements to post at a later date, which can help you stay organized as well as your students. I don’t have a homeroom so I don’t have many announcements, but I would imagine homeroom teachers can use the announcement feature to post reminders, permission forms for field trips, handouts in case students lose them or forget them in their lockers, the list goes on and on. What I find the most compelling about Google Classroom is that it allows you to communicate better with your students outside of the classroom. Before Google Classroom students had to be physically in the classroom for you to ask them a question. Now you can do it anytime. Likewise students can submit work from anywhere they have internet access. This saves those of us who teach elective courses for middle school a lot of time when you think about how many students we can have during the school year! Google Classroom saves you time and paper, and allows you to create classes, post assignments, and communicate with your students with ease. It also allows you to see which students have completed their assignments and you can provide direct, real-time feedback and grades. Google Classroom essentially puts all of your assignments, announcements, and student work right in one place. No matter what subject you teach, Google Classroom is a great tool for sharing information with your students, collecting their work, and providing feedback. If you have a Google Account through your district, Classroom is just sitting there waiting to help you challenge and engage your students. How to Use Google Classroom Effectively. 1. Use move to top to bring important older material back to students’ attention. This simple act bumps an assignment, announcement or question to the top of the class stream. Use this if students haven’t turned an assignment in OR if you want to remind them of an upcoming deadline. 2. Email everyone in a class in the “Students” tab. Once you click the “Students” tab, click the checkbox above all of your students to highlight everyone. Click “Actions” and “Email.” This is great for calling special attention to something you want to communicate to students OR for longer-form communication. 3. Use the right kind of comment. There are several kinds of comments you can leave students in Classroom. Knowing how each one works can make you more efficient and effective. Adding class comments: Do this by adding a comment in your class stream on the “outside” of an assignment or announcement. This will make the comment visible to the entire class (important if it’s an answer to a question anyone might have). Adding private comments: Do this by viewing student results and clicking on an individual student. On the right, where you can see student submissions, the comment bar at the bottom adds a comment that only the student can see (important if it has sensitive grade or feedback information). Adding comments in a doc/slide/sheet/drawing: Do this by clicking on the student’s file that he/she submitted to you. Click the black speech bubble icon after highlighting something you’d like to comment on. This adds a a very pointed comment on specific items in student work (important to be very exact in feedback). 4. Use announcements to share “right now” links. 5. Use the keyboard instead of the mouse. Keyboard commands beat moving and clicking the mouse every time. The best one in Google Classroom: When entering grades, type the grade for a particular student’s assignment, then push the down key to get to the next student. Cycle through students with keystrokes instead of mouse clicks to save lots of time. Don’t recreate assignments, announcements or questions that are similar to those you’ve already created. Click the “+” button in the bottom right and select “reuse post.” Choose an assignment, announcement or question you’ve created before. You can modify and update it before you repost it. When you reuse a post, you can even choose to create new copies of all the attachments you used before. 7. Grade everything in one place. Click the three lines button in the top left of Classroom and select “Work” at the top. Here, you’ll find all of the assignments for all of your classes in one place. Work your way down the list and get on top of everything in one spot. 8. Get email from Classroom the way you want. 9. Get ideas from others. Educators that are already using Google Classroom hang out in lots of online communities where you can read their posts and ask questions. 10. Get the features you really want in Classroom. 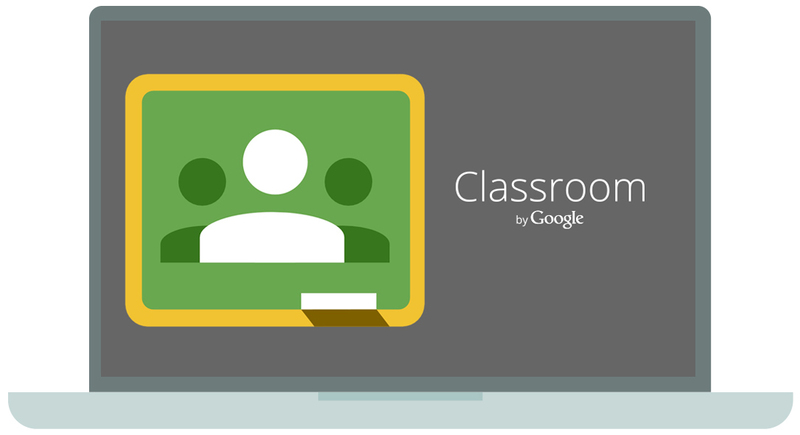 Do you have a suggestion for a new Google Classroom feature? Is there something you can do but wish you could do it easier? This type of feedback is what the Google Classroom team craves from teachers. Click the “?” button in the bottom left of the screen and choose “Send Feedback.” According to the Google Classroom team member that talked to my Google Teacher Academy group in December 2014, someone from their team reads every single feedback item sent that way. I believe this article was helpful? If yes, kindly share to best of friends using the BUTTON below.